Scottish road users have been reminded of the need to stay safe behind the wheel. That means avoiding the use of handheld mobile phones and always wearing a seatbelt. Transport Scotland has published a new survey of more than 14,000 Scottish road users in which an increase of both of these dangerous activities was recorded in comparison to similar research carried out in 2014. Over the last five years there has been widespread publication of the message that driving and mobile phone use simply doesn’t mix. It creates unnecessary distraction when individuals are tapping on their mobile or taking their eyes off the road. As a result, it was disappointing to see in this latest set of data that there has been an increase in the number of people breaking the law and using a handheld mobile phone while driving. The figures showed how mobile phone use has increased from 1.6 per cent of drivers in 2014 to two per cent at moving (free-flowing) sites in the latest survey. At the same time, there has been a rise in use in stationary traffic, from 1.7 to 2.5 per cent. However, in what was a more positive result for Scottish road users, this latest survey found there had been a significant improvement in the number of people who buckle up when taking to the roads. The research recorded increased wearing rates for drivers and front seat passengers in all vehicles in the latest findings. 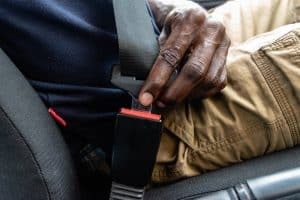 Seatbelt wearing rates rose to 97.3 per cent – up from 96.4 per cent in 2014 and 95 per cent in 2009.